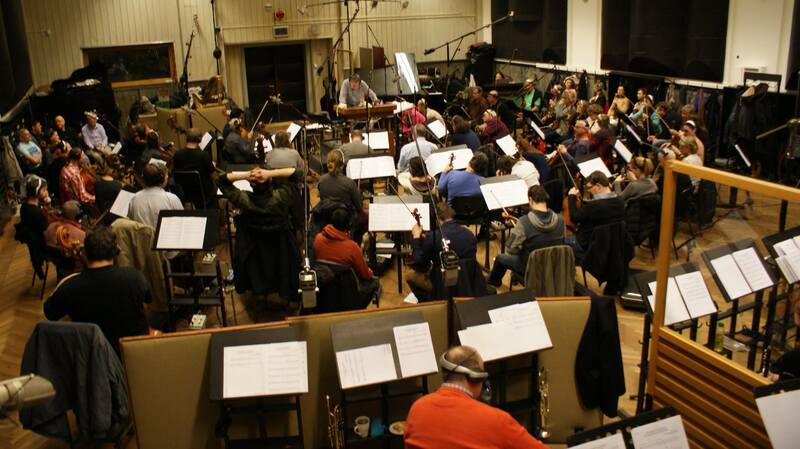 Less than a year had gone by since Tadlow Music’s acclaimed recording of Miklós Rózsa’s film score Sodom and Gomorrah for Prometheus Records but on Good Friday 25 March 2016, Nic Raine raised his baton once again at Smecky Studios as he prepared to conduct the City of Prague Philharmonic Orchestra (CPPO) for another recording of a Rózsa score in complete form, with Nic prefacing the first cue and enthusing the orchestra with the words “The Thief of Bagdad”; two hundred minutes of wonderful music”. He may have inflated the total amount of music (the double CD is expected to be about 130 minutes) but in using the epithet “wonderful” he was speaking on behalf of many who consider the score to be one of the composer’s finest achievements and which has variously been described as not only wonderful but lyrical, rich, magical, inventive, colourful and exotic. In fact, perfectly in keeping with Alexander Korda’s lavish Arabian Nights fantasy which was Rózsa’s most prestigious film score at the time of release in 1940. 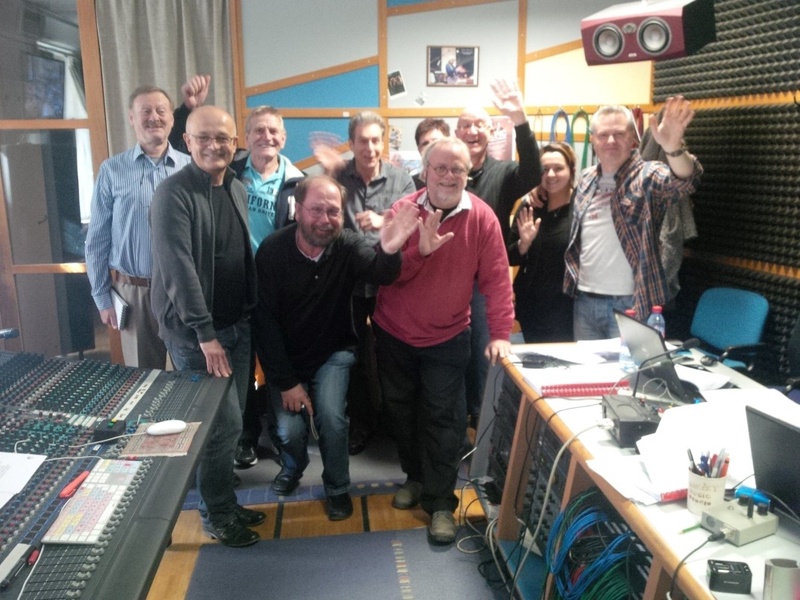 Alongside Nic and producer James Fitzpatrick, were the welcoming familiar faces from previous recording sessions of production assistant/interpreter Stanja Vomackova and recording engineer Jan Holzner. It was also a pleasure to meet up again with score reconstruction expert Leigh Phillips and to meet his partner and assistant Bex Thomas for the first time. Attending the sessions at James’ invitation alongside myself was Rozsa Society Webmaster Hank Verryt who had travelled to Prague from the Netherlands. It was also good to meet again with invitees, Volker Hannemann, Dorothee Hannemann and Harald Bayer who had all journeyed from Germany and who had last visited Prague in September 2015 for the CPPO concert “Epic Hollywood: The Film Music of Miklós Rózsa” (subsequently released on a 2-disc CD by Tadlow Music). Most of us were there for the Friday, Saturday and Sunday sessions but none of us were able to stay for the Monday which had been booked for recording some of the choral passages. The film itself runs for 106 minutes and contains almost wall to wall music; every note of which was being recorded – much of it for the first time. 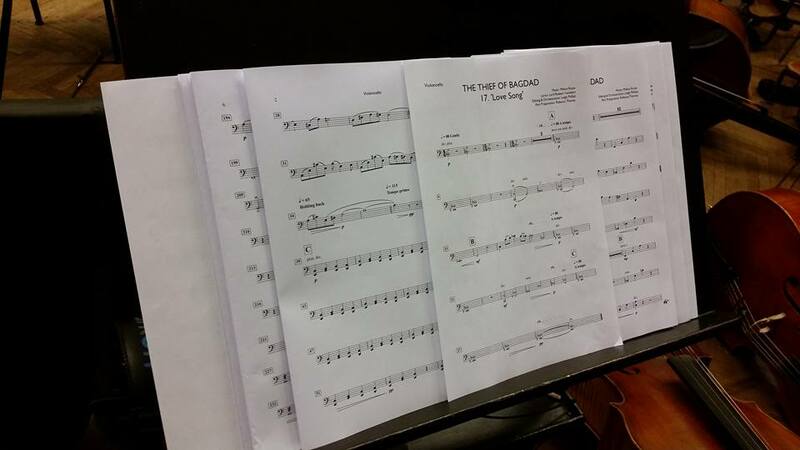 Additionally, what makes this new recording surprising and especially welcome, is the inclusion of the numerous unused music cues and alternatives; many of which are described in detail by Richard H Bush in his article “Thief of Bagdad: The Musical?” on this website. One surprise was finding that ‘The Flying Horse’ had three versions; the film version and two alternatives. These are not minor changes but obviously involved a major re-think on how the scene should be scored, both alternatives being more dramatic than that ultimately used in the film. It would have been most interesting to have known whether it was Rózsa or the studio who had decided to try these three different approaches to score the scene and in making the final decision on which cue to use. Many of the unused cues were originally intended as songs within the film and one or two of these were recorded as orchestral-only alternatives. 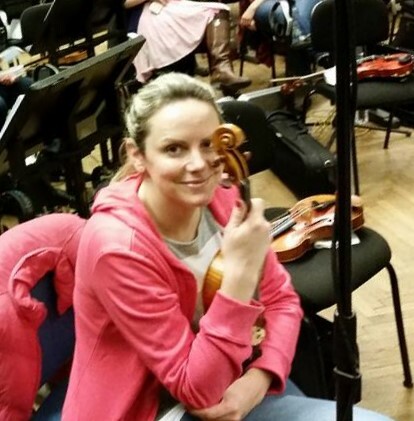 As he had done with Sodom and Gomorrah Leigh had orchestrated a special version of ‘The Love of the Princess’ with concertmaster Lucie Svehlova on solo violin. The players clearly seemed to be enjoying themselves during sessions. 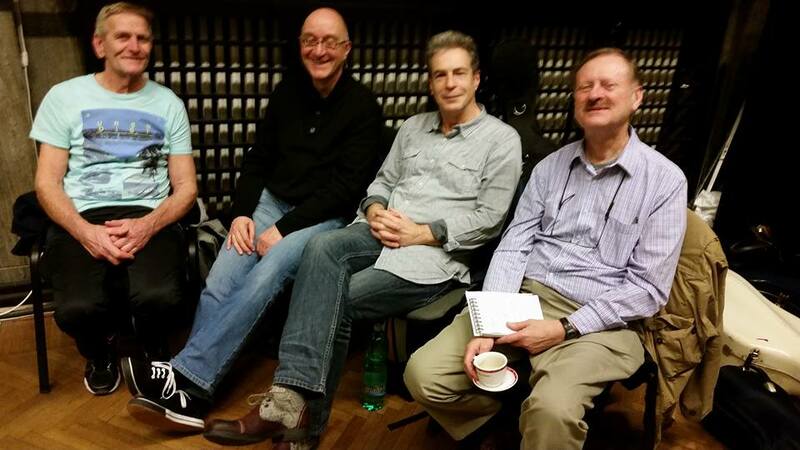 As with the previous recordings I had attended, players tended to come and go; one instrumentalist does not necessarily come in for every session. The CPPO is a contract orchestra and instrumentalists are hired on a per-session basis. There is no “permanent” roster as there would be for, say, the Czech Philharmonic. No doubt there is a core group of players that keep being asked back and I recognized some players from the El Cid sessions back in 2008 but the turnover between sessions is not surprising. Joseph Pokluda, who I believe does the hiring, may ask violinist A who says, “I can do all of Monday and the Tuesday afternoon session, but Tuesday morning I’m rehearsing with the Prague Chamber Orchestra and I teach all day on Wednesday.” So he hires B for Tuesday and Wednesday morning and C for Wednesday afternoon. There is no doubt a large talent pool in Prague and the community of musicians probably all know each other rather well. Thus there is a strong camaraderie even though they come and go. 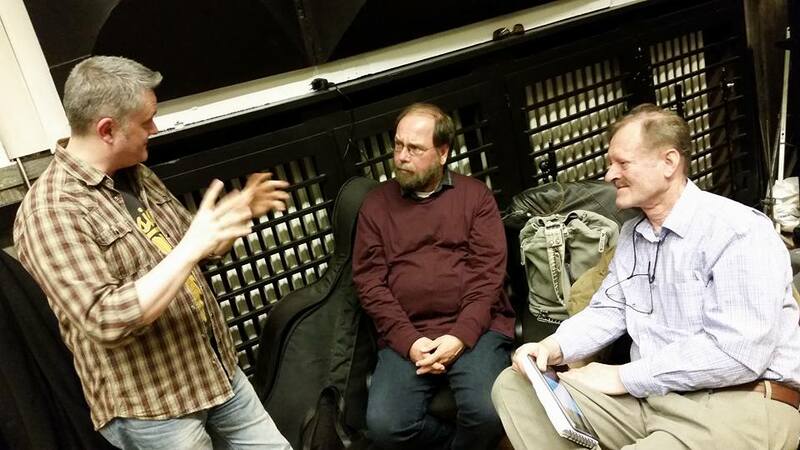 Leigh was on hand throughout in the control room alongside James Fitzpatrick listening to the orchestra. Leigh explained to me that it had been a very complex score to reconstruct – more so than the epics he had previously worked on; Quo Vadis and Sodom and Gomorrah where the structure included many repeat lines whereas The Thief of Bagdad had far more variation not just in total but within individual cues. He also encountered complications in establishing the correct orchestration where there were differences in the music between Rózsa’s original sketches, the film soundtrack, and the music & effects track. So much of the music from The Thief of Bagdad has either never been heard or cannot be heard clearly within the compressed mono sound of the film soundtrack, so this recording will be a revelation when it is released later this year on Prometheus Records. Various videos of the sessions released by James Fitzpatrick are linked below. Click the HD for quality.